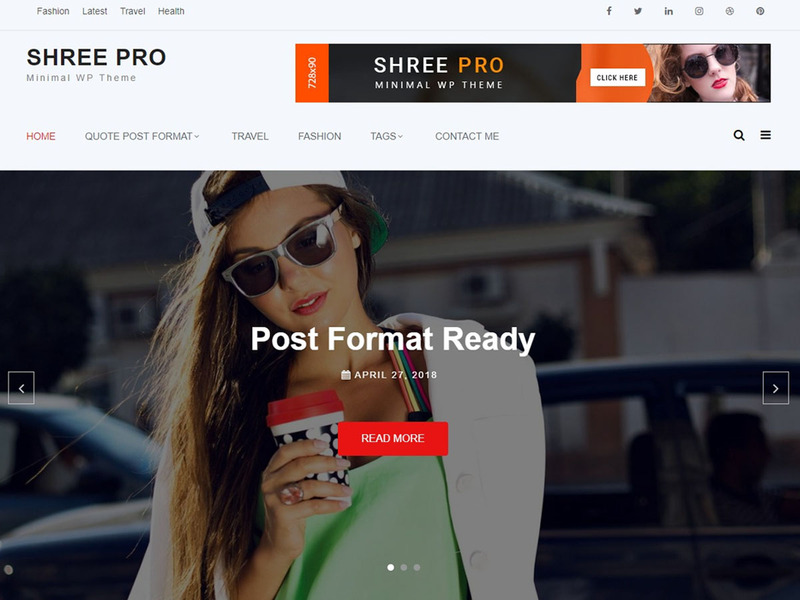 A complete post format ready WordPress theme for blog, news and magazine. Make your site easily with the help of dummy data. Download and use it. Author, Social and Featured Post custom widgets are available in this theme. Unique Page, single page & post design. Sidebars are available. You have Separate and Unique Design of 404 Page. It's awesome in layout and looks. Unlimited colors. You can easily change the primary color and other colors as well.